Repairs and re-conditioning are in many cases a more economical alternative to replacement with a new motor or pump. 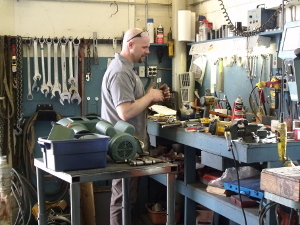 After a series of diagnostic procedures, we can repair or fully re-condition your motor, including electrical repairs, bearings and other mechanical repair items. We fully re-conidtion pumps, be it spa and pool pumps, irrigation pumps, commercial heat and cooling pumps and other industrial pumps. We carefully select the approriate mechanical seal and gasket material to handle the envirionmental conditions the pump may be exposed to. Our re-wind department can handle your smaller speciality motors as well as larger 3-phase motors up to about 500 HP. We use the highest quality inverter duty insulated copper wires and varnish for our re-winds. 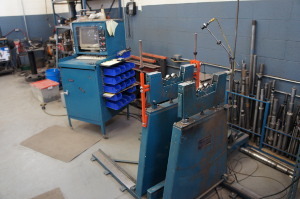 Our fully equipped machine shop is tightly integrated into our service procedure, enabling us to provide repairs to exacting standards, including shafts and other rotating parts. We can also provide customization to fit your specific application. 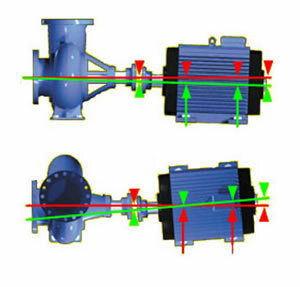 To ensure a long service life, the rotating assemblies and parts can be balanced to exacting prescision using a computer controller balancing system. We also have a sophisticated portable computer balancing system, allowing us to balance your larger rotaing assemblies at your location. By using our state-of-the-art laser alignment system, we can make sure that your equipment is aligned to exacting precision, ensuring a long service life. We can align your system as installed at your location. Please contact us to discuss your custom service needs.